How Does the Drought in Arizona Cause Mold Problems? Living in a desert area such as Arizona can lead to mold problems when a drought occurs. I think everyone should understand how extended dry weather raises the danger of mold spores inside private residences and residential properties. Due to global warming, there has been a long-term drought in Arizona and surrounding states. While most individuals associate mold with flooding incidents and water damage in general, mold spores also can multiply inside a seemingly dry building. With record high temperatures in the region, residents are using air conditioning units more than in the past. These systems are often necessary, but the moisture that builds inside of them causes rampant mold growth, and dangerous spores are then distributed throughout buildings via the air ducts. What Areas of a Building are Likely to Have Mold? Mold spores tend to grow where it is hot, dark and humid such as in the ductwork of air-conditioning and heating systems. I routinely inspect my air conditioner to check for mold on the coils, components and filter. Next, I use a flashlight to look in the utility closet where my water heater is located to see if it has fuzzy mold growing on its pipes or insulation. Occasionally, I look behind my refrigerator and dishwasher to see if leaking hoses have caused mold. You can prevent mold growth in steamy bathrooms by turning on ceiling exhaust fans during showers and sanitizing fixtures once a week. Mold often grows inside attics or basements that have poor ventilation. Why are Deserts Mistakenly Considered Low Risk Mold Areas? Most people think of mold growing in areas with numerous rainstorms, leading to health risks such as breathing difficulties, sneezing and runny noses. While mold often grows in buildings near rivers and lakes due to floods and humidity, spores also travel long distances to settle on dry soil and sand in desert regions. Because there is so little moisture in a desert, the mold does not grow into huge colonies of discolored spots on walls, ceilings and floors. As the soil in Arizona becomes drier due to the extended drought, the wind blows sand and soil through the air. This distributes mold spores on lawns and buildings causing air quality problems in our homes. 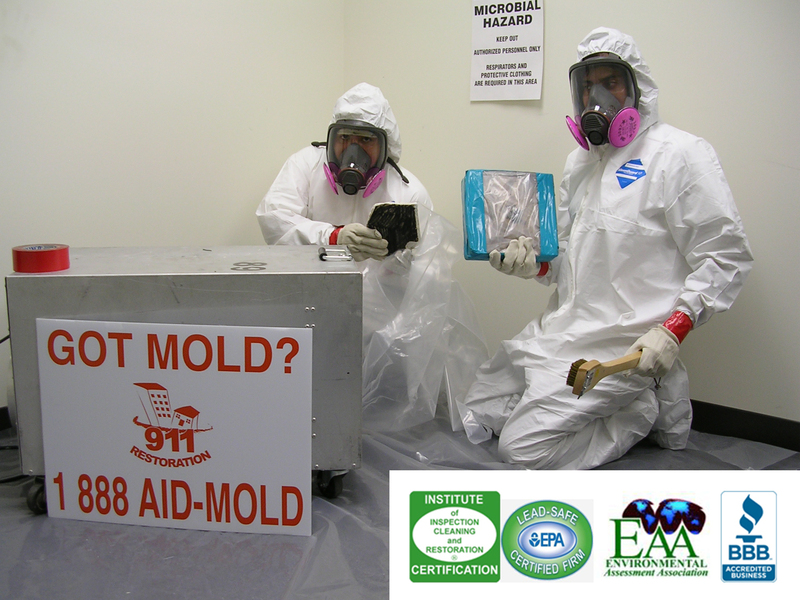 Why is a Mold Inspection Important? Everyone should have a mold inspection from a professional mold remediation company to avoid health problems from breathing in spores. Your home is probably full of mold spores waiting for the tiniest amount of moisture to begin growing. The mold in Arizona often grows long filaments that break away to float through your home’s ventilation system. Breathing in these filaments can lead to a coccidioidomycosis infection that causes serious symptoms including joint pain, headaches and fever. Valley fever can lead to complications such as lung nodules, pneumonia and heart inflammation. A mold remediation expert can collect samples in your home to conduct tests to find dangerous mold spores before beginning a cleanup process.